IndiaFilings is India's largest online business services platform dedicated to helping people easily start and grow their business, at an affordable cost. We were started in October 2013 with the mission of making it easier for Entrepreneurs to start their business. We have since helped start and operate thousands of businesses by offering a range of business services. 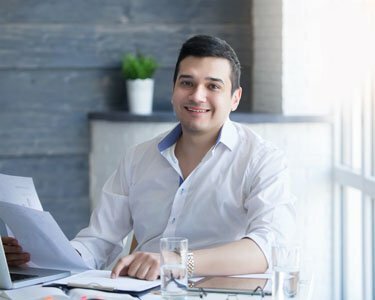 Our aim is to help the entrepreneur on the legal and regulatory requirements, and be a partner throughout the business lifecycle, offering support at every stage to ensure the business remains compliant and continually growing. IndiaFilings is the leader in business incorporation services in India. We specialise in registering a wide range of business entities like Limited Liability Partnership, Private Limited Company, One Person Company, Limited Company, Nidhi Company, Trust, Society and Section 8 Company. IndiaFilings provides end-to-end GST services from GST registration to GST return. You can easily create invoices, track expenses, manage inventory and file GST returns through our cloud-based LEDGERS GST software. Get in touch with our Experts for GST related advisory. We utilise a mix of technology and human touch to deliver quality business services, at scale across india. With a network of over 3000 professionals spread across over 170+ cities and towns, we have local reach while being highly accessible through the internet and smart phone. IndiaFilings is India's largest cloud-based business services platform dedicated to helping Entrepreneurs easily start and grow their business, at an affordable cost. 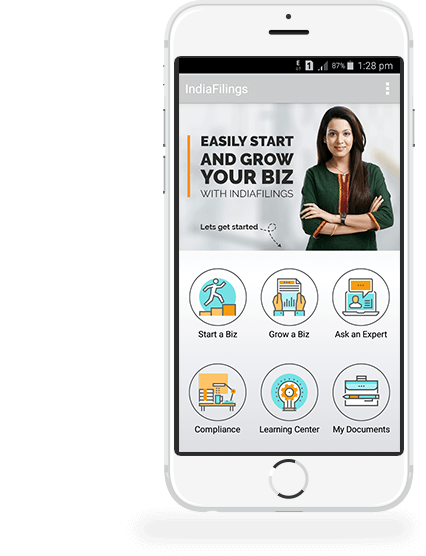 Easily chat with Business Experts, find answers to thousands of FAQs, read business articles, get statutory due date alerts, start a company or register a trademark through the IndiaFilings App. 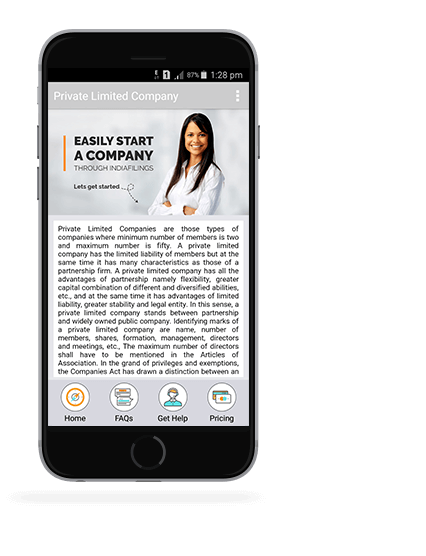 Download India's first mobile app for starting a company or registering a trademark today!